According To Feng Shui, I Shouldn't Have A Mirror In Front Of My Bed. How Can Crystals Help? According to Feng Shui we must not have a mirror in front of our bed. In my bedroom, I cant move the furniture I have a big mirror in front of my bed that I cant move. What do I have to do? Thank you for your question about Feng Shui and crystals. It is true that you should not sleep in a bed with your feet pointed towards a mirror since many believe that your soul travels at night and if it sees it's reflection that it will become frightened. Since you cannot move the bed or the mirror you should place a QuartzCrystal in front of the mirror. This breaks up the flat image of the mirror and neutralizes any negative energy. 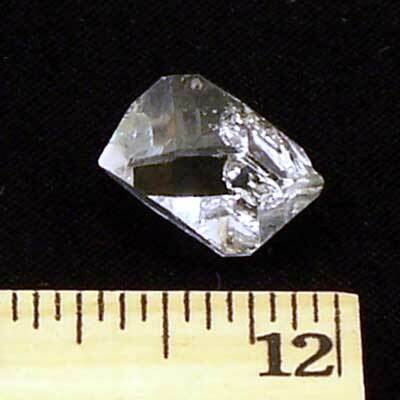 I would use a faceted Clear Quartzor a Herkimer Diamondis also very powerful for this purpose. This can work for any kind of Feng Shui energy with mirrors, doors or windows. For instance my front door faces a window and since I cannot move either I have a Clear Quartzin front of that window so that the positive energy won't flow in the door and out that window. Thanks for writing in with such an interesting question and please let us know how the crystals work out for you. We would love to hear back from you and I hope that you will let us know if we can be of any further help. We really appreciate your support of Healing Crystals.com.